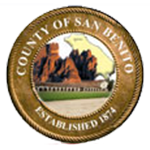 The Auditor of San Benito County is the Chief Account Officer for the entire County. His mandate is to ensure the required Auditor-Controller functions specified in the California Constitution, under various California codes, and by the Board of Supervisors are performed. The duties are performed under the legal authority primarily set forth in the Government Code beginning with Sections 26800 and 26900.